It was four years ago this month when some 140,000 Christians were facing mass exodus as ISIS militants converged on Iraq’s ancient Nineveh Plains. “The program was to eliminate the population and to also eliminate the historical memory — to get the people who lived there out of there,” Andrew Walther of Knights of Columbus told CBN News. 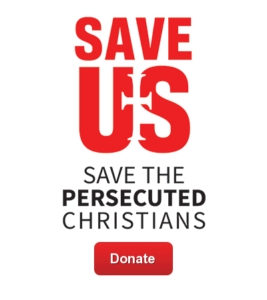 For the past four years, the Knights of Columbus, the largest Catholic fraternal organization, has been working to help persecuted Middle East Christians. Walther says what took Iraq’s Christians millennia to build in the Nineveh Plains was lost in a matter of hours. “This is why they blew up Roman ruins in Palmyra. This is why they blew up the tomb of Jonah. This is why they had a systematic destruction of Christian cemeteries, of Christian churches, and the desecration of Christian graves,” Walther said.